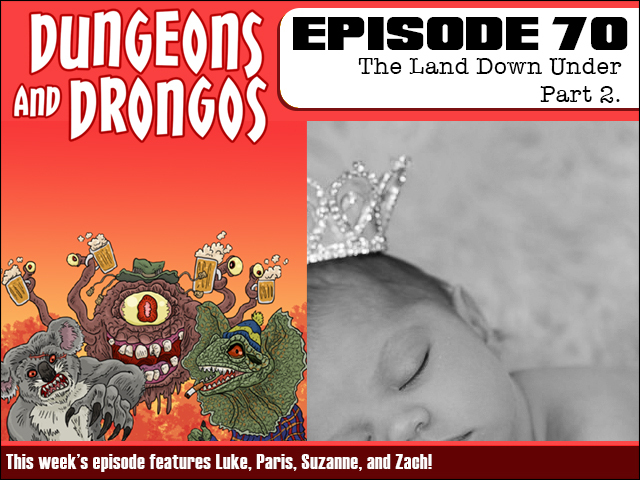 This week the evil alternate versions of our party hunt down the holidaying heirs of King Wortho's family. How many limbs of the Worthington family tree will they manage to snip off before the real version of our heroes escape from being stranded in the turbulent Down Under with the nefarious Badley Cooper? The truth will shock you! It's Dungeons and Dragons except it's set in Fantasy Australia, you mongrels!